Equipped with TV, music, photo, video, and video capture features, the AVerMedia Center 3D gives you full media control on your PC. Live 3DTV and 2D-to-3D conversion is also supported. Watch broadcasts at home through live 3DTV. 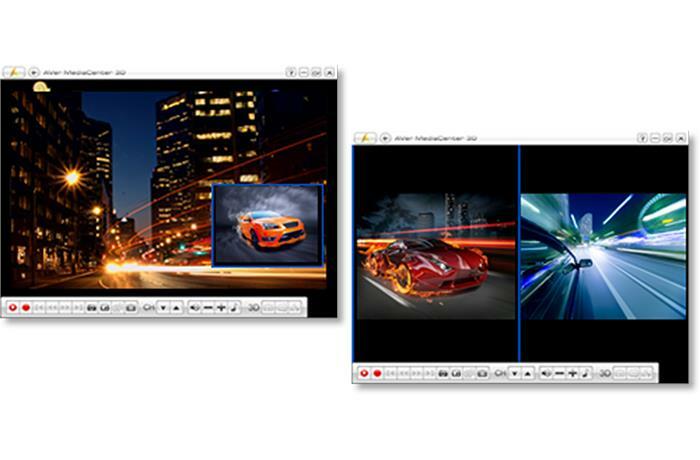 Our exclusive see3D* technology transforms any movies and 2D live TV recording into a fantastic 3D experience! 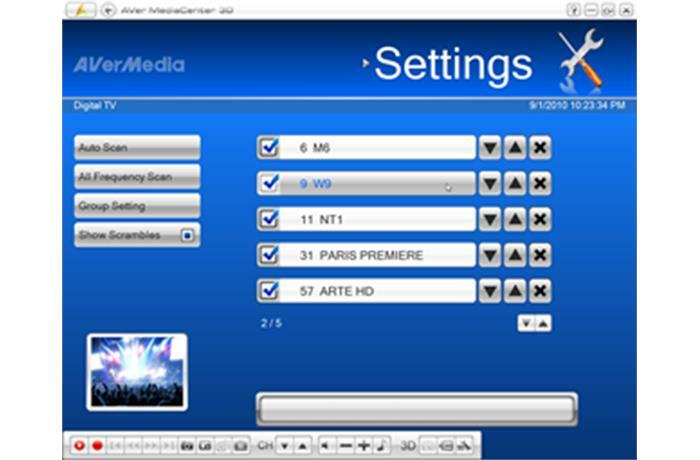 AVerMedia Center 3D allows for the simultaneously viewing and recording of programming and the viewing of multiple selections in PIP mode. 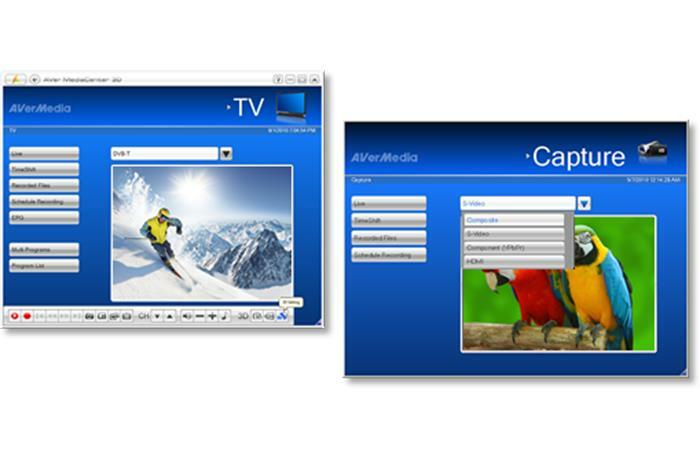 * AVerMedia Center 3D only supports and manages AVerMedia TV tuner and capture card products. Do not compromise your premium video quality. 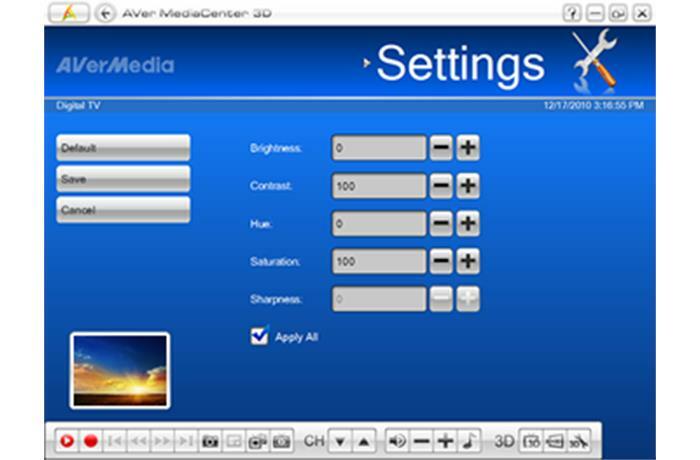 AVerMedia Center 3D includes a color adjustment tool to fine-tune brightness, contrast, hue, saturation, and image sharpness. AVerTV 3D reduces the time spent on converting files. 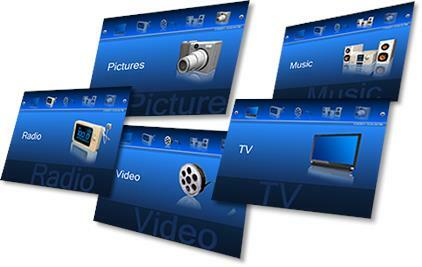 Record and upload all your favorite shows to your iPod, iPhone or iPad with greater efficiency. Automatically switch between TV and Capture mode. 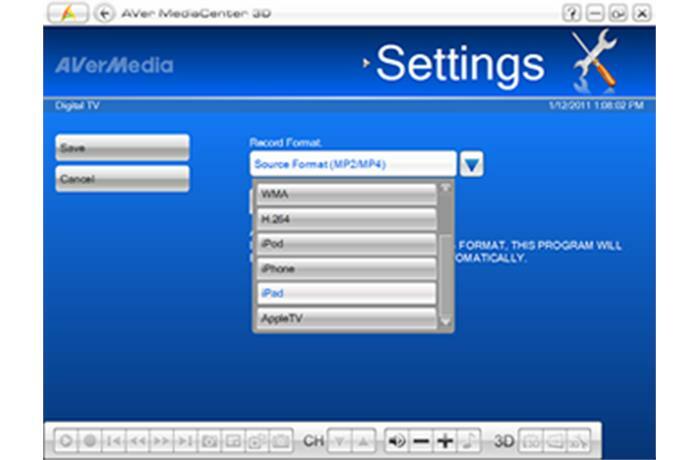 Connect your PlayStation 3 to the AVerMedia HD capture card then start up your AVerMedia Center 3D to activate. It's that simple. 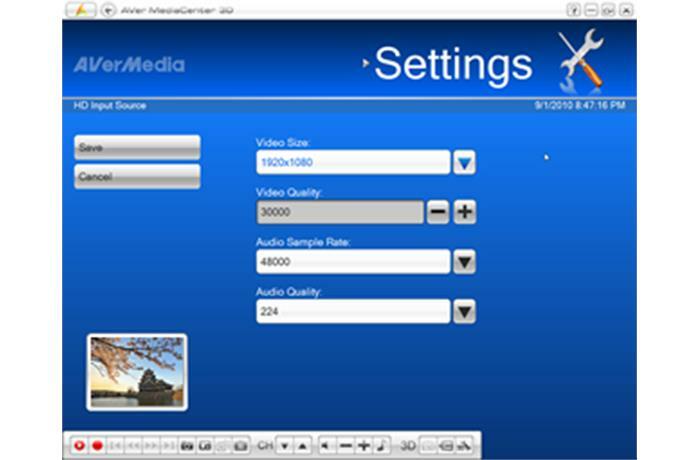 An easy-to-use capture station, AVerMedia Center 3D supports video capturing up to a 1080p* resolution in HD H.264 format, preserving HD videos with crystalline quality. * The highest resolution depends on your capture card and the input video. 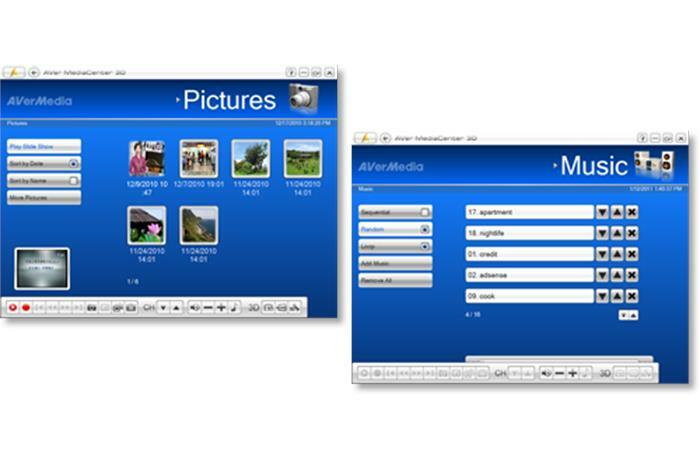 Packed with photo and music management options, AVerMedia Center 3D allows you to display photos in slideshow mode and shuffle through your music playlists. 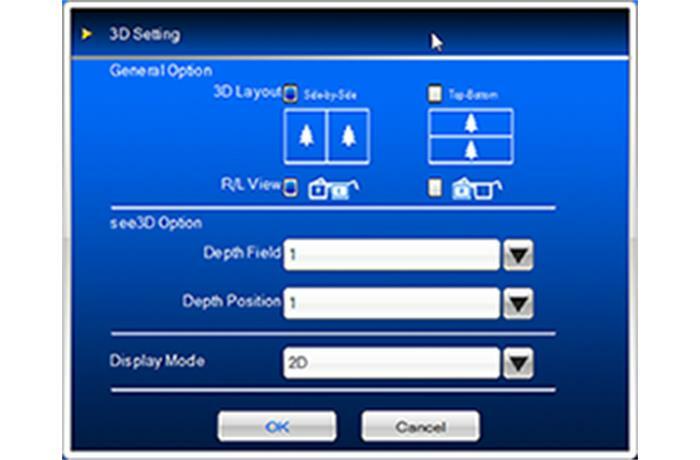 Categorize all your channel options according to preference with the AVerMedia Center 3D. Watching films can be as easy as switching to the Movies channel group.